Newcastle United expectations | NUFC Blog. Archive for tag: Newcastle United expectations. 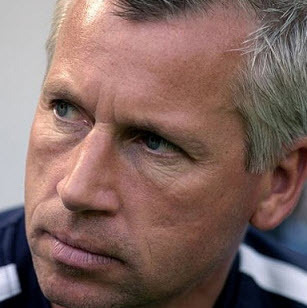 Shoule we cut Pardew some slack? So a few weeks ago i decided that I was going to try and be as positive as possible about Newcastle United and to try and look on the bright side of life with regards to the current manager. Reading this blog daily, and like most Toon fans, not in the North East, I crave even more than usual my daily fix of NUFC news. What I am noticing is that Alan Pardew is not only disliked, but he is hated by the majority of fans and has some very unrealistic expectations on his shoulders given the current regime hes working under. Every comment Pardew seems to make is scrutinised and analysed by the fans who are coming to the conclusions that he ‘talks far to much’, hes ‘patronising’, that he is an ‘Ashley propaganda machine’ and have already written him off as one of the Southern shandy drinkers ruining the club!